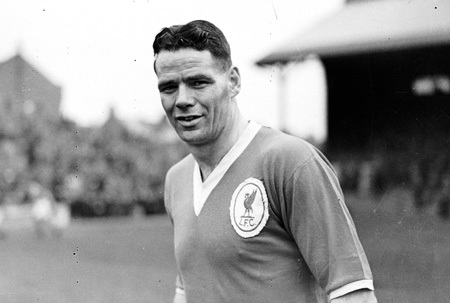 Billy Liddell: Emperor of Merseyside – "Play Up, Liverpool"
Here is the happiest Soccer story of the year, with sensational goodwill; bursting out all over. It happened at a Liverpool boardroom party yesterday when club chairman Thomas Valentine Williams (T.V. Williams) presented Billy Liddell, 35, and still the emperor of Merseyside Soccer with: A radiogram, a cocktail cabinet, and a china cabinet.